About 6 million Australians aged 18 years and over have high blood pressure. Of these, more than two thirds had uncontrolled or unmanaged high blood pressure (not taking medication), representing 4 million adult Australians. High blood pressure, or hypertension, is suggested to be one of the leading risk factors for heart disease. The process in which high blood pressure causes heart disease is not completely understood. But now scientists at the Baker Heart and Diabetes Institute have found that high blood pressure caused by specific signalling from the brain promotes heart disease by altering stem cells with the bone marrow. The results, published in Haematologica demonstrate how an overactive sympathetic nervous system that causes elevated blood pressure can instruct bone marrow stem cells to produce more white blood cells that clog up blood vessels. 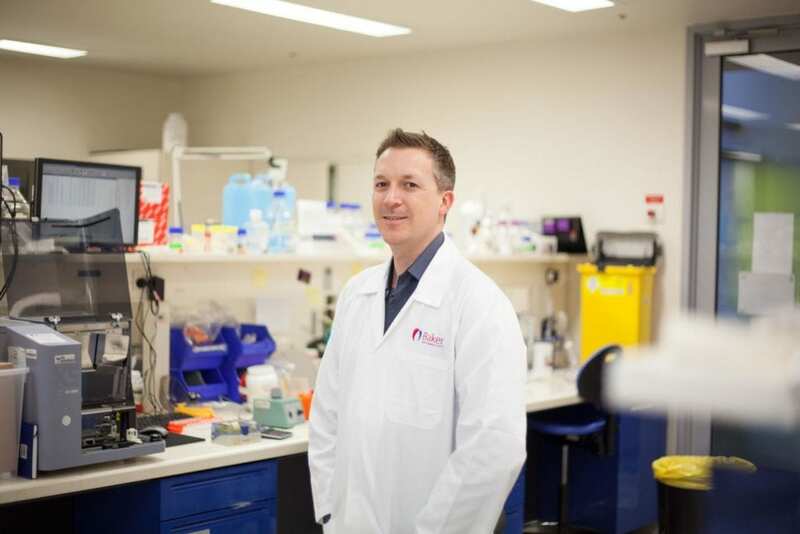 The Baker Institute's Head of Haematopoiesis and Leukocyte Biology, Associate Professor Andrew Murphy says the findings represent a new era of heart disease research. "Hypertension is a major, independent risk factor of atherosclerotic cardiovascular disease, but we need more information to determine how it is resulting in heart attacks and strokes," said Associate Professor Murphy. Atherosclerotic cardiovascular disease is a build-up of cholesterol plaque in the walls of arteries, causing obstruction of blood flow. "We now know that significance changes in the immune system contributes significantly to heart disease," he said. "We aimed to determine how the sympathetic nervous system through the brain directly promotes atherosclerosis in the setting of hypertension." "We have discovered that this form of high blood pressure, often associated with stress, causes changes within the bone marrow leading to increased white blood cells circulating though our vessels. This is significant as the general view of hypertension is that it is mainly a disease of the blood vessels, which means other heart damaging events are missed." The team is now exploring the specific molecules involved, which may shed light as to why some current therapies are ineffective. They also suggest that managing stress, anxiety and pain are likely to help in controlling this form of hypertension and the effects it has on the body's bone marrow stem cells.